SODA Inc. are the Waikato’s business incubator, and good friends of ours. 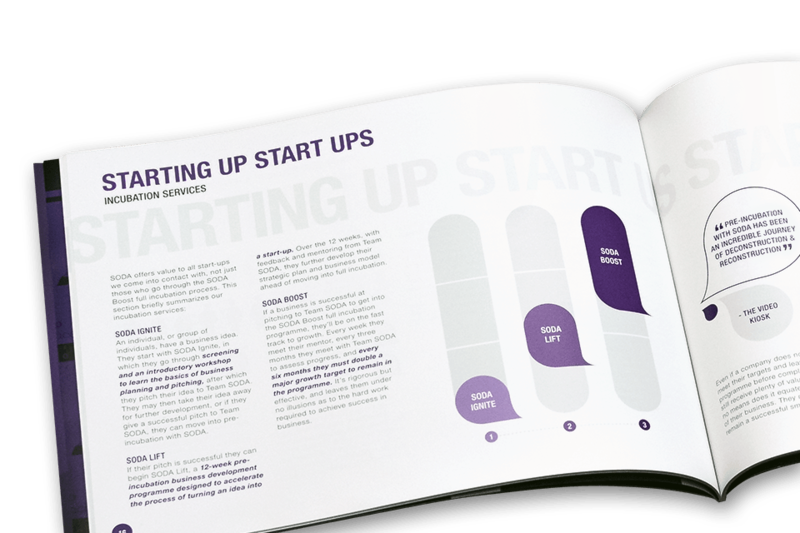 For their 2011 Annual Report, they wanted to showcase their successes and share their infectious enthusiasm for startups. This was the annual report that proved SODA, now three years old, was out of its own startup phase. It had to introduce SODA and explain its mission for anyone who wasn’t familiar with it, and at the same time it had promote SODA’s achievements to connect with potential investors. We treated it as a ‘story so far’ document, going back not just over the previous year, but over SODA’s entire history. It helped that the building it’s based in has historical significance for Hamilton, enabling us to create a story that started in 1899 and finished in 2011.